The shelving system shown below is based on the natural and unmistakable form of a tree. Design a small coffee table in the same style. The table should have the same functions / purposes as a typical coffee table. 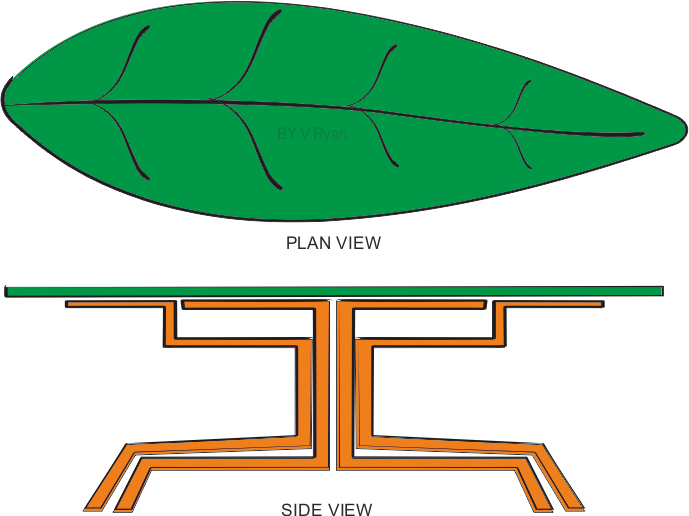 The coffee table sketched below, has legs / supports based on the root system and trunk of a tree. The ‘branches’ hold the table top in position, stretching along the underside. It is a sturdy table, very unlikely to ‘tip’ over, due to the width /distance covered by the ‘root system’. The table top is shaped like a leaf and has a pattern mimicking those seen on a typical leaf. Manufactured from toughened glass, with a painted leaf backing. This table is unusual and distinctive.